Cheap return flights from Germany or Brussels to Kilimanjaro from €401! 5* Qatar Airways cheap flights from Europe to Penang, Malaysia from €371! Round trip flights from Germany to exotic Zanzibar, Tanzania from €399! A Star Alliance member Turkish Airlines has released an interesting sale between Brussels or main airports in Germany and Kilimanjaro (JRO) in Tanzania. Return flights with one layover in Istanbul and one short stop in Zanzibar are now available from €401. (However it seems that you can not book multi-stop at Zanzibar at least ast reasonable cost). Fare is as usually including all taxes and fees, in-flight meals and checked bag. Note that flights are available this spring and April is still a rainy season in this area. Consider this before you book this deal. (On the other hand June is beginning of peak season and great time to visit Northern Tanzania). We recommend to check all the requirements to enter the country and needful vaccination prior booking. (i.e. there is low potential to exposure to Yellow Fewer virus but you may be asked to provide a proof of vaccination at the airport or when going to/from Zanzibar Islands.). If interested in this Turkish Airlines special promotion look for flights departing from Europe to Tanzania between 10th of April and 9th of June 2018. Max stay 12 months. Discount is valid for bookings made by end of February or until the cheapest seats last..
You can compare all travel options from your home city directly with Turkish Airlines. One your search is complete click on “Show flights for the whole week” to see the cheapest travel options available. The easiest way how to check your connection possibilities is to use Skyscanner. This tool gives you easily a rough idea which low-cost airlines are connecting to one of above cities.. 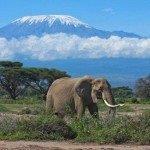 Need an accommodation in Tanzania we recommend Booking.com. Booking sample of Turkish Airlines promo sale offering cheap return flights from Germany or Brussels to Kilimanjaro from €401. You would depart from Hamburg on 8th of June as per our above booking link and return from Tanzania, amazing African country back to Europe on 23rd of June 2018.